Kappler Zytron? Z500 Coverall with Collar & Elastic Wrists and Ankles. 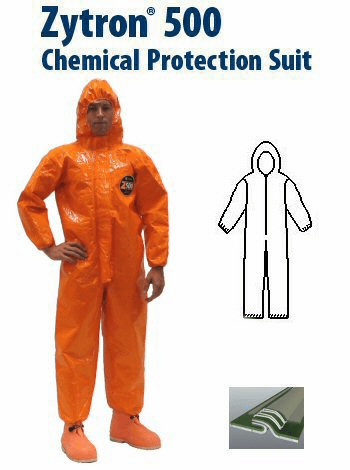 Kappler® Zytron® Z500 Coverall with Elastic Hood, Wrists and Ankles. With that kind of Kappler heritage built into the fabric, it's no wonder that responders around the world trust Z500 garments for ultra-demanding Level A and Level B applications. Available in coveralls and a range of total encapsulating suits.